A new wave of regional Chinese restaurants are changing the face of Chinatown. Oakland's Chinatown is now one of only a few places in the nation where you can get Guilin rice noodles. In Oakland's Chinatown, Cantonese might be the language of the streets, but the traditional Cantonese restaurant — the dim sum house, the jook shop, the purveyor of roast duck rice plates — is now sharing the limelight with an increasingly diverse array of regional Chinese cuisines. 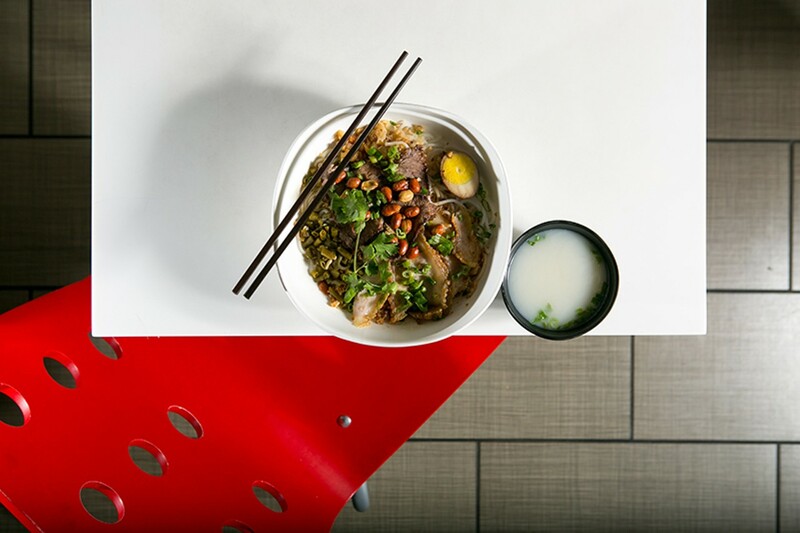 The past two years alone have seen the arrival of one of the only restaurants in the nation to serve Guilin rice noodles; a takeout window specializing in the dough-based specialties of northern China's Tianjin region; and, if we count the food of the greater Chinese diaspora, a modern-looking and thus far very popular Malaysian-Singaporean eatery. Of course, Oakland's Chinatown hasn't been strictly Cantonese for quite some time. Vietnamese banh mi and pho joints have long been neighborhood fixtures, as have a small handful of non-Cantonese Chinese restaurants — the most prominent of which is probably Shan Dong, a northern Chinese dumpling house that has been around since the Nineties. Still, it's notable that the high-profile Chinatown restaurant openings of the past several years have not, by and large, been traditional Cantonese places. And, in many cases, restaurateurs who hail from parts of China other than Guangdong or Hong Kong are making a conscious decision to set up shop in Oakland. For Nana Liu, Oakland's growing cachet as a dining destination — and its reputation for attracting people who are open to all different kinds of food — was a big selling point when deciding where to open Guilin Classic Rice Noodles (261A 10th St., 510-250-9333), the Bay Area's first restaurant specializing in the cuisine of Guilin, a city in China's Guangxi province famous for its scenery. On the other hand, Amy Liu (no relation) chose to launch Tian Jin Dumplings (989 Franklin St., 510-459-6265) — a takeout window across the street from the Pacific Renaissance Plaza — in Chinatown simply because the rent was affordable, and because she wanted to keep her fledgling business manageable by opening in the tiniest shop possible. The two restaurateurs both said that opening a non-Cantonese dining establishment in a predominantly Cantonese-speaking (and eating) community hasn't been easy. Nana Liu said Chinatown locals sometimes find her restaurant's Guilin-style food to be too salty, or they take issue with the fact that the signature rice noodles aren't served in soup. While many Chinatown residents came to sate their curiosity during the restaurant's first few months of business, only a few have become regular customers. And Amy Liu of Tian Jin Dumplings said she now preemptively explains to Cantonese customers that her shaobing (biscuits) are served plain, with nothing inside — because many were asking why they weren't filled in the manner of Cantonese pastries. Nevertheless, both restaurant owners stressed that they haven't adapted their food to cater to local tastes. Amy Liu said she makes her home-style dumplings, pork buns, and jianbing guozi (a kind of breakfast crepe) exactly as she would in Tianjin — she doesn't, for instance, make them sweeter because Cantonese customers might like that better. As Nana Liu put it, "I never wanted to serve the same thing as everyone else." In her view, the fact that her restaurant is different is a plus. What could be better than to add it to the rotation so that, without leaving Chinatown, you could feast on Cantonese roast duck one night, dumplings the next, and Guilin rice noodles the night after that? In the end, though, the owners of both Guilin Classic Rice Noodles and Tian Jin Dumplings say they have thrived in large part because they get so many customers who come from other parts of Oakland or from out of town — often young Chinese immigrants who travel from Hayward or Fremont, or non-Chinese customers who may have read about the restaurants online. In fact, according to Ted Dang, a commercial real estate agent who has managed properties in Oakland's Chinatown for the past forty years, this broad appeal to customers who might not otherwise come to Chinatown is a key to the neighborhood's future success. Dang points out that the local Chinatown population is aging rapidly, and tends to be lower- or lower-middle class. Any restaurant that wants to succeed needs to cater to this audience — which is why in Oakland, you tend not to see the glitzy upscale Chinese restaurants you'll find out in "suburban Chinatowns" such as Millbrae or Milpitas. At the same time, many of the large, historic Cantonese restaurants are struggling to stay in business as big Chinese wedding banquets have fallen out of favor — Legendary Palace and Silver Dragon are two that recently shut down. Ultimately, Dang said, restaurants such as Guilin Classic Rice Noodles might be more likely to succeed because they're offering a specialized cuisine that's different from the competition. One thing is clear: For diners who love to explore the vast diversity of regional Chinese food, this can only be seen as a welcome trend. Jennie Ong, the executive director of the Oakland Chinatown Chamber of Commerce, said she loves the idea of people coming to Chinatown not just for jook or dim sum, but for "a taste of Asia." William Gee Wong, a Chinatown native who authored the photo history book Images of America: Oakland's Chinatown, said he buys frozen dumplings from the Tianjin takeout shop and tried Guilin rice noodles for the first time. Recently, he's been eying Chilli Padi (366 8th St., 510-891-8862), the new Malaysian place, where the smell of belacan (shrimp paste) and assorted curries draws in curious passersby. Wong, too, is happy about the new additions. "It exposes me, an old Cantonese guy, to new wonderful tastes," he said. As for Guilin Classic Rice Noodles, Nana Liu said business has been good enough that she's now preparing to open a second, swankier location in San Jose. Lately, she's even been toying with the idea of opening a restaurant that specializes in the cuisine of Guibei — the northern part of the Guangxi province, where the food is spicy and the most famous local delicacy is quanshui ji, a poached chicken dish. Would Oakland Chinatown be a fitting home for such a restaurant? The restaurant would be, to my knowledge, the first of its kind in the nation. A communal hot pot meal transcends regional barriers. 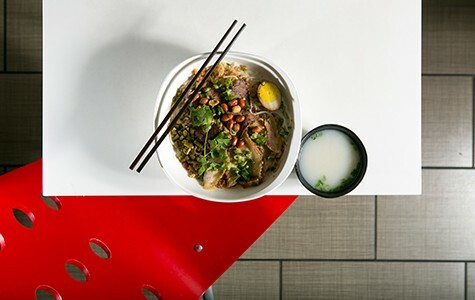 Get the "red and white" pot, which will allow you to experience both the restaurant's signature Sichuan-style mala (numbingly spicy) broth and the more wholesome clear pork-bone broth. Carb lovers flock here for dumplings, hand-cut noodles, oversized (and bargain-priced) pork and vegetable buns, and other dishes traditional to the dough-centric northern province of Shandong.